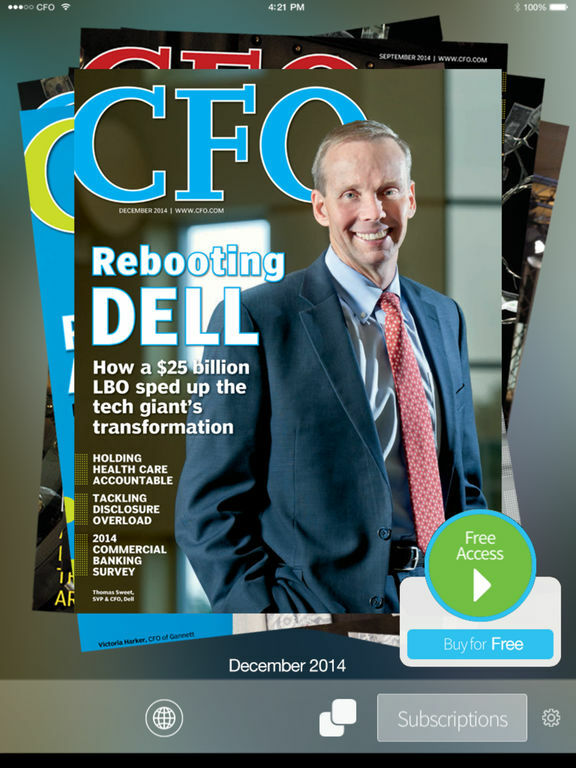 Monitor the pulse of corporate finance with CFO's mobile app. 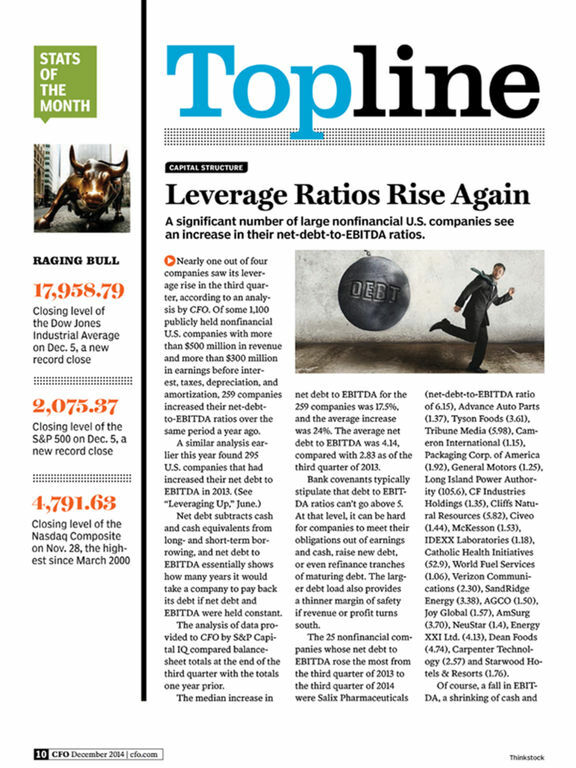 The app delivers our award winning coverage right to your mobile device, so you're always just a touch-screen away from insights, news, analysis and commentary focused on what's most important to corporate finance executives, managers and their staffs. Keep up to date on new webcast and conference offerings, download new research and white papers, access topic-specific newsletters or daily and weekly briefings, check out finance job listings or find out which one of your peers is making a move. Take a deep dive into corporate finance, anywhere, anytime your mobile device is connected. Find out who's making headlines, what strategies and tactics are working -- and which ones are not. 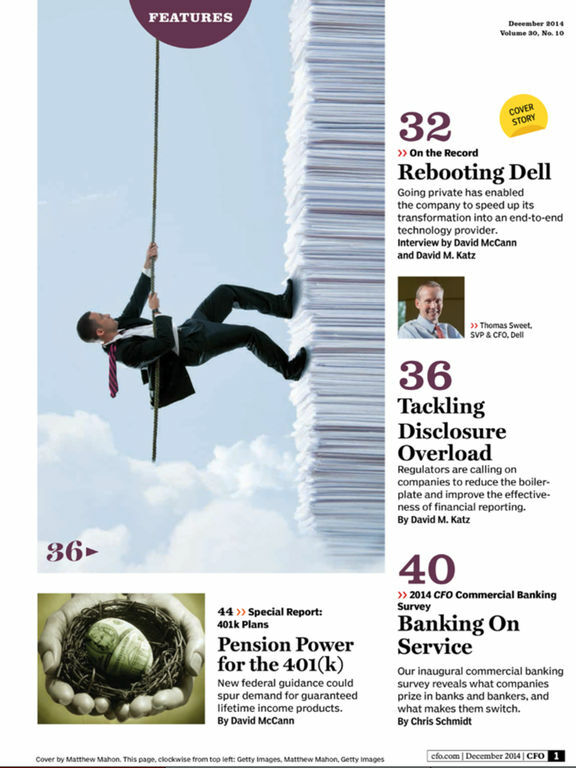 Get updates on new rules and regulations, especially the sleeper issues that can blindside even the best finance chief. Get a deeper understanding of what risks can ripple through your company, and how best to avoid or mitigate them before they hobble a business. 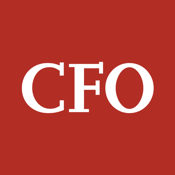 CFO is in the business of corporate finance, every day getting to the root of issues that are second nature to CFOs, VPs of finance, treasurers, controllers, accounting managers, financial analysts, investor relations professionals, and other staffers that are part of the office of the CFO. 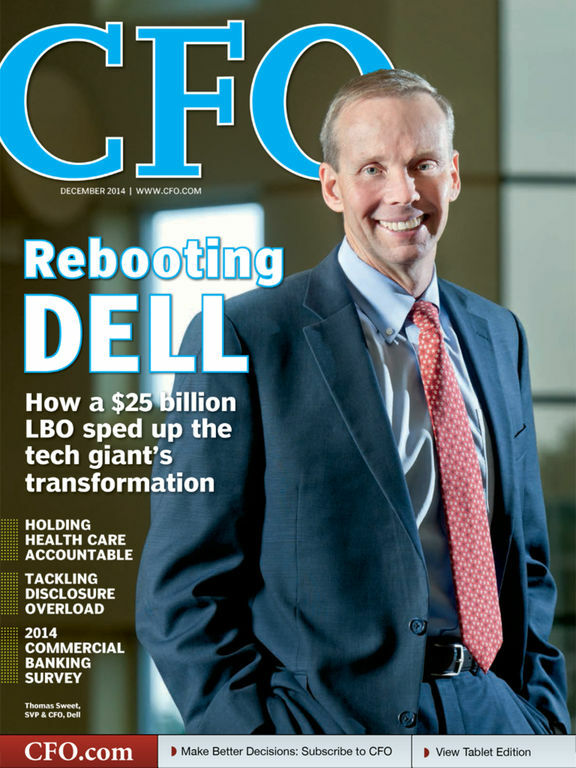 For more than 30 years, we've been covering CFOs and their professional life from the inside out, and now we're putting that groundbreaking coverage in the palm of your hand.